Optimize the learning experience. Equip your workforce with a mobile enterprise learning platform that gives them the information they need, when they need it. Comcast employees using Inkling across the U.S.
With Inkling, Comcast employees can utilize interactive, digital content anytime they need to refer to critical information out in the field. As their single repository for all operational knowledge, Allstate uses Inkling to enable claims agents with searchable content. A modern solution for a modern workforce. Deliver training anytime, anywhere. Ensure training is interactive and mobile-ready for any device to increase engagement and get your team up to speed faster. Learning does not stop at onboarding. Help your employees help themselves with intelligent search to quickly find the answers they need to do their work well. Company standards should not be hard to find. Insure your entire team has access to accurate information every time with simple and automatic content updates. Inkling helps businesses improve employee engagement and performance with easy-to-create interactive training and onboarding, a searchable reference library to quickly find critical material, and provides actionable insights on how your content is being used. See how our customers are using our enterprise learning platform. Build a smarter workforce by giving them a quickly searchable library of training resources at the moment of need. Easily design and distribute interactive training without coding skills to improve employee speed to proficiency. Measure how and when training is being consumed and use these data-driven insights to improve the learner experience. "Inkling has increased our speed-to-market, accelerated our digital-first mindset, and, through the financials on the printing, created a network that allows us to move at a really fast pace for a very low cost." Take a 2-minute self-guided tour of our mobile enterprise learning platform. Hear from the Director of Global Learning at Verizon Media to learn how her and her team increased sales by 117% by empowering 2,200 employees with engaging and interactive content. 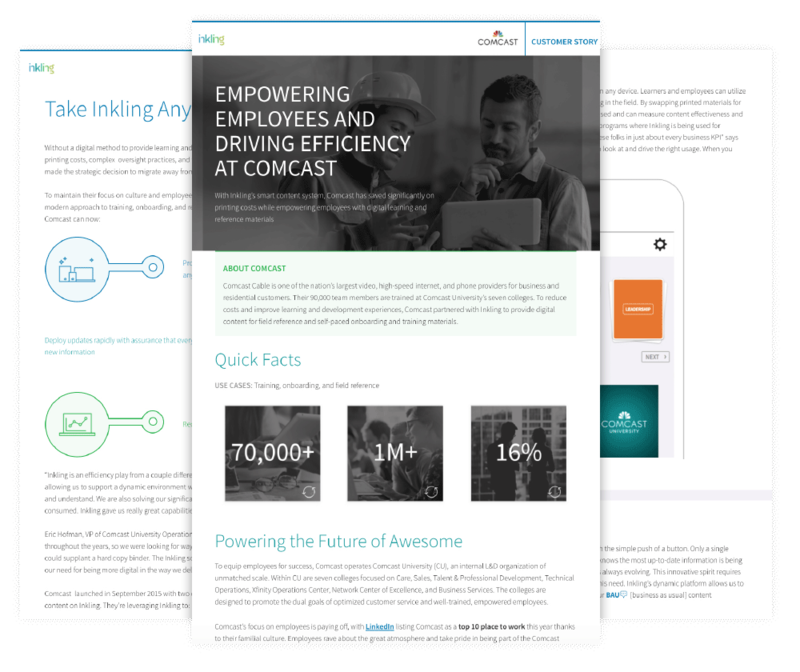 Discover how Comcast significantly decreased their content creation time and saved money after implementing Inkling to enable 90,000 field employees. 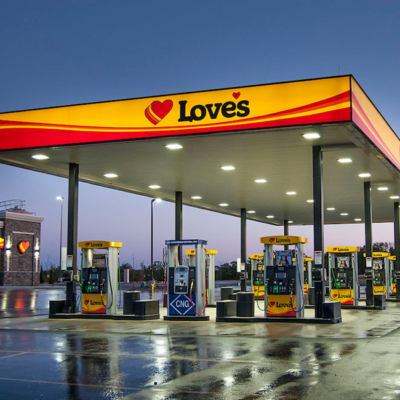 Hear from the Manager of Learning & Development at Love’s about utilizing Inkling to enable and empower their employees with 24/7 access to mobile reference materials. From the live coffee hour series, watch our on-demand webinar with Allstate, who uses Inkling to enable their 15,000 claims agents across the U.S. Hear firsthand how Inkling customers are using our learning platform to enable their workforce. Get access to our coffee hour webinars and customer stories.